[Deadline Submission Extended] Call for Papers "Hadith and Ethics: Concepts, Approaches and Theoretical Foundations"
The modern approach to the concept of ethics has gone beyond the classical view that has been preoccupied with descriptions of the faculties and characteristics of the psyche (qiwā al-nafs wa malakātuhā). The modern approach includes two main areas: The first is a theoretical field that expresses the general principles and universal meanings (such as universal ethics, virtues, telos etc.) from which sub-duties are to be derived. The second field is practical in nature and it involves the types of virtuous faculties that one should cultivate and practice, e.g., sincerity, honesty and chastity. Thus, ethics can be considered as a theoretical science and a practical art that examines the overall general theoretical concepts (such as good and evil, right and duty, standards, motivations, goals and ideals) and examines the means of achieving those ideals and goals. In moral philosophy, there is also a discussion on the possible differences between ethics and morals, with some philosophers distinguishing between ethics, morals and practical wisdom (Sagesse Pratique). Regardless of such terminological deliberations, one can identify three levels of inquiry. The first is preoccupied with the grand questions on the lifestyle that one should develop or emulate prompting definitions of the higher and ultimate goals of life. The second level is concerned with moral obligation and its source. It addresses questions like, “what is the source of moral obligation?” “Is moral obligation just for its own sake or for achieving something else?” The third level concerns individual ethics, its aesthetics and possible applications. In other words, the first two levels deal with general issues, whereas the third level deals with the new and complex dilemmas whose proper analysis requires insight and wisdom to decide the best course of action and its possible consequences (Mutaz al-Khatib, Āyāt al-akhlāq, Journal of Islamic Ethics, No. 1, 2017, 84-85). In consulting pre-modern Islamic scholarship, one comes across a great number of writings with relevance to ethics dispersed in-between different disciplines. 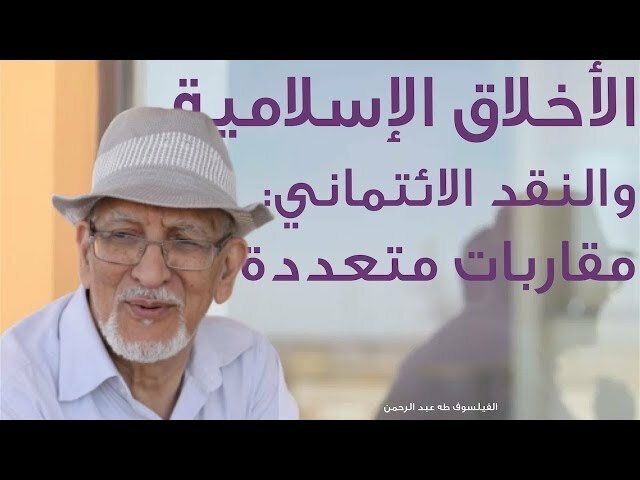 However, Muḥammad ‘Abd Allah Drāz argued that the Islamic library has only addressed two kinds of ethical teachings. The first type relates to practical advice, which aims at reforming the morals of young people by encouraging them to embrace the supreme value of virtue. The other type anatomizes the nature of the psyche and its faculties and defines what virtue is and its various typologies. This is usually in alignment with the Platonic or Aristotelian model or synthesizing both models in one book. However, there are other genres on ethics, most notably the narrative ethics in ḥadīth, a genre that has not yet been the subject of rigorous and critical studies. Once we cross over the apparent textual character of this narrative ethics, we argue, one can unearth a theoretical structure embedded within. We believe this is a relatively untrodden path of academic research. Thus we hereby encourage researchers to fill in the lacuna through this Call-for-Papers. Drāz has approached the Qur’ān as a reference for Islamic ethical theorization and realized that this Quranic reference used to be marginal. He tried to make the Qur’anic reference central to ethics again by introducing the so-called “Qur’anic ethics”. His analysis of the status of the Qur’ān can be found in his book The Moral World of the Qur’ān. 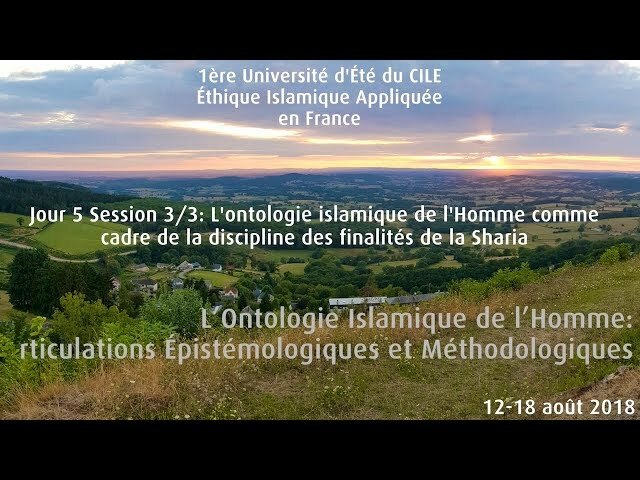 The Research Center for Islamic Legislation and Ethics (CILE), devoted one of its international seminars to the theme of “Ethics of the Qurʾān” and its proceedings were published as a thematic issue in the Journal of Islamic Ethics (published by Brill). The seminar was convened by Dr. Mutaz al-Khatib, who was also the guest editor of the thematic issue, which can be downloaded for free from the following link. On the other hand, approaching Ḥadīth and Sunnah as a reference for ethical theorization remains under-researched, without having in-depth studies that duly reflect the intensity of the ethical content contained in the various Ḥadīths, or in prophetic practice. Meanwhile, one can distinguish between two levels of analysis. At the first level, the Prophetic Sunnah is approached as a revealed reference or an exemplary application of the revelation. At the second level, the Sunnah is approached as an historical reference of the ethics that prevailed in the formative period of Islamic history. Against this background, we believe in CILE that it is high time to organize another international seminar on “Ḥadīth and Ethics”, to complement what was started in the previous seminar on “Qurʾān and Ethics”. The mainstream position in Islamic history held that declaring things and actions as good (taḥsīn) or bad (taqbīḥ) should be premised on revelation, not on human intellect as claimed by the Mu‘tazila. If this is the case, then this should have been reflected in theorizing both jurisprudence and ethics, since the Qur’ān and Sunnah should be the source of both legislation and ethics. Historical reality, however, shows that this was the case in the field of Islamic legal theory and jurisprudence but was not the case within the field of ethics, where the role of Ḥadīth or Sunnah, like the Qurʾān, was marginal in the works of moral philosophy. Different to the case of theoretical ethics, the practical and behavioral elements of the Prophetic Ḥadīth did receive extensive attention by scholars of Ḥadīth who produced a vast genre, which included a variety of books dealing with the ethical aspects of Sunnah. This included distinct books dedicated to etiquettes or ādāb which sometimes addressed professional ethics, such as the ethics of the narrator of Ḥadīth with the one who listens to it, and the ethics of the senior and junior jurists. Additionally, some books focused on outlining good character, religious etiquettes, the etiquette of dealing with parents and so forth. This genre also included a great number of books dedicated to the virtues and vices; the books enlisting incentives to do the good (targhīb) and deterrents from doing the evil (tarhīb); the books concerned with the “branches of faith (shuʿab al-īmān)”; the books on virtues which vary according to persons, ages and times; and the Ṣūfī literature on asceticism, remembrance of God, supplication, spiritual diseases of the heart, etc. Among the most prominent authors in this genre are Ibn al-Mubārak (d. 181 AH), Aḥmad ibn Ḥanbal (d. 241 AH), al-Bukhārī (258 AH), al-Tirmidhī (279 AH), Ibn Abī al-Dunyā (d. 281 AH), al-Ḥakīm al-Tirmidhī (d. 295 AH), al-Kharā’iṭī (d. 327AH), al-Ṭabarānī (d.360 AH), Abū al-Shaykh ibn Ḥayyān (d.369 AH), al Ḥalīmī (d. 403 AH), al-Bayhaqī (d. 458 AH) and others. The six canonical collections of Ḥadīth also had specific chapters dedicated to the aḥādīth on manners and ethics, whose total number reached about 500 in the Sunan compiled by Abū Dāwūd, and exceeded 600 in the Ṣaḥīḥ of Ibn Ḥibbān. Moreover, the ethics of the Prophet (peace and blessings of Allah be upon him) was the subject of distinct books or occupied parts in the books on the biography of the Prophet, meant to provide the exemplary model of ethics to be followed. The writings on ethics mentioned above – being as diverse as they are – have exclusively been concerned with practical and behavioral ethics. They are devoid of any theoretical framework because philosophical theorization does not fit within the traditionalist mindset, which perceives knowledge through the lens of transmitted knowledge, rather than intellectual reasoning. That is why they ended producing what can be called “narrative ethics”, to which two other types can be added, namely, ethics-oriented literature (al-adab al-khuluqī) where the ethical content assumes a literary form, and ethics-oriented thought (al-fikr al-khuluqī) where the ethical content takes the form of a logical and theoretical structure. However, narrative ethics, being diverse and variable, still needs to be studied and analyzed in many ways. Ḥadīth-based dictionary of ethics: noble virtues (makārim al-akhlāq), immoral qualities (masāwi’ al-akhlāq), etiquette (adab), virtues (al-faḍā’il), branches of faith (shu‘ab al-īmān), the ethics of the Prophet and al-Shamā’il. The problem of distinguishing between the juristic rulings (aḥkām) on one hand and virtues (faḍā’il) on the other hand. Examining the concept of Sharī‘a as outlined in the works on rulings and those which study manners (ādāb), compared to the writings on the “branches of faith” which incorporate ethics. This may end up into adopting an interdisciplinary approach combining between the disciplines of Islamic theology, jurisprudence and ethics. Analysis of the diverse and rich typologies of morals, the various disciplines in which one comes across ethics and the impact of all this on both the form and content. Additionally, studying the implications of writing distinct books on ethics and how these writings relate to the original sources, namely the collections of ḥadīth. Ḥadīth-based ethics: history, development and approaches. Examining the history and development of the writings dedicated to the ḥadīth-based ethics by introducing a “historical-epistemological reading” that analyzes ḥadīth-based ethics, parallel to three other fields, namely: philosophical ethics (such as the writings of al-Kindī, Abū Bakr al-Rāzī, Miskawayh and others); adab-based ethics, (such as the writings of Ibn al-Muqaffaʿ and others); and juristic rulings (such as the early works on fiqh written by Abū Yūsuf, Muḥammad ibn al-Ḥasan, al-Shāf‘ī and others). Studying the ḥadīths in al-Ghazalī’s Iḥyā’ ‘ulūm al-dīn – away from imposing the standards of ḥadīth scholars to verify the authenticity of these traditions- looking for a possible ethical structure provided by these ḥadīths, which were widely circulated in the Sufi discourse. To what extent have these traditions been the foundation for a certain vision or have just been quoted to support an already existing vision? The theoretical potential that can be obtained from the prolific ethical compilations provided by scholars like al-Ḥārith al-Muḥāsibī (d. 241 AH), Ibn Abī al-Dunyā (d. 281 AH) and others. The ethical analysis of the biography of the Prophet, because it provides the practical side of the concept of “model”; while the Shamā'il genre can provide the descriptive ethics of the model, or the example that should be followed. 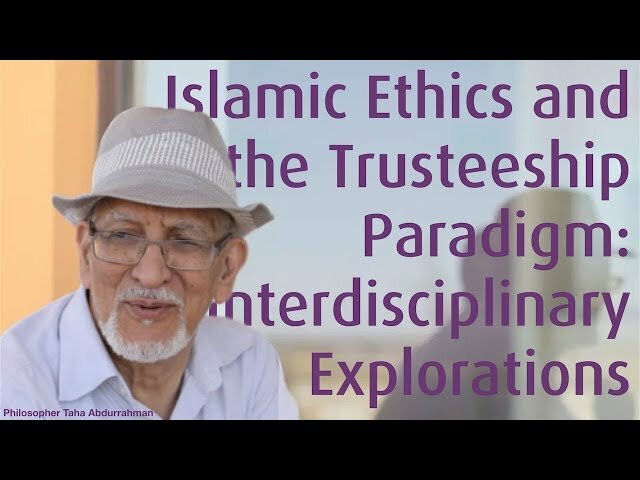 Is Ḥadīth-based ethics related to religious ethics, deontological ethics, or utilitarianethics? The concept of targhīb and tarhīb, its applications and the problems it may raise in the field of moral philosophy. For it may support the idea of religion-based ethics, which are confined to religious and the hereafter dimensions - an idea that Drāz and others arguing that Islamic ethics are not exclusively religious in nature. Exploring the possible reasons which made the jurists and traditionists so permissive in respect of the traditions which speak about virtues, while they were so strict in respect of those traditions which imply rulings. Further, how does this relate to the disagreement on the epistemological sources which justify judging actions as good or bad. In the same vein, to what extent would the low probability of attributing the tradition speaking about virtues to the Prophet, in the case of a weak tradition, be sufficient to make it a religious virtue although it will not be enough in the case of a ruling produced by the human intellect, which the Mutazila considered one of God’s messengers. The relationship between ethics and religion and the nature of ethics provided by the collections of ḥadīth in terms of authority, relationships and sources, and whether they produce religion-based ethics? 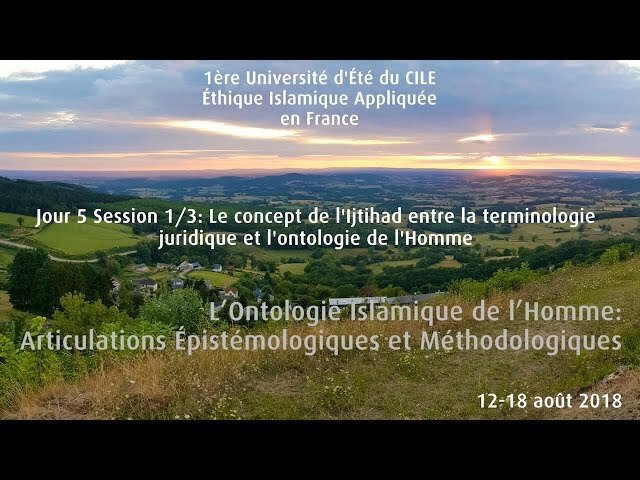 Studying the theoretical aspects of ethics as elaborated by Muslim legal theorists in the respective chapters on Sunnah researches in the books of Islamic legal theory (uṣū al-fiqh), and how far these theoretical aspects can be integrated into the studies on meta-ethics or normative ethics. Major ethical themes in Sunnah using the thematic approach, or theme-based studies (ḥadīth mawḍūʿī) premised on a theoretical foundation before proceeding to the applied section. Grand and overall ethical principles in the Sunnah and the possible methodologies for identifying or extracting them. Developing a theoretical basis for the prophetic traditions on ethics (aḥādīth al-akhlāq), close to what was done with the genre of traditions on rulings (aḥādīth al-aḥkām) that has received considerable attention from both traditionists and jurists. 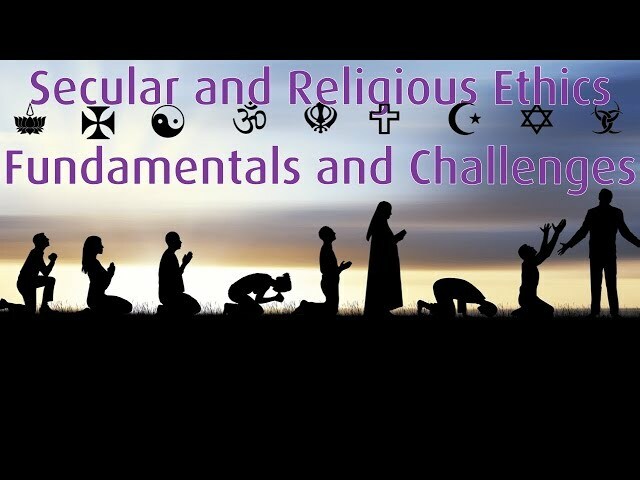 Ḥadīth-based ethics compared to other traditions like the pre-Islamic Arab values, Christianity and Judaism: comparative critical studies demonstrating what was adopted, added or subjected to amendment or correction. The all-comprehensive words (jawāmi‘ al-kalim) in the Sunnah compared to similar genres in other cultures known to Muslims in early Islamic history. Applied studies on some ethical values in the Sunnah. Developing applied studies on certain ethical values which have been mentioned in Hadīth collections and also discussed in works on Islamic theology such as the creation of deeds (khalq al-afʿāl), compulsion and freedom, or determining the good (taḥsīn) and the bad (taqbīḥ). Developing applied studies addressing some of Ḥadīth-based values in fields like politics (such as obeying the ruler, commanding right and forbidding wrong, the rights of common people (ḥuqūq al-raʿiyya), freedom, justice, ...) and economy (such as social justice, distribution of wealth, equal opportunities, etc.) and other fields . Submissions should deal with theoretical ethical aspects of the Ḥadith or Sunnah, or an applied topic but contains a solid theoretical basis. Submissions which do not provide a theoretical framework will not be considered. Submissions dealing with the overall subject of Islamic ethics or those that do not address specific research problems will not be considered. Submissions that exclusively address ethics through the lens of giving direct advice or promoting certain behavior will not be considered. Submissions of a solely descriptive nature without providing critical analysis will not be considered. Works that study the ethical theory of a specific figure should avoid focusing on the biography of the studied person and should rather focus on the critical analysis of the ethical theory itself. An abstract (300-500 words only) identifying the research statement of the problem, the main question and the sub-questions to be addressed - and the proposed methodology to answer the questions. A brief biographical note (max. 500 words) illustrating: (1) the academic background, (2) major research interests, (3) and the most important academic publications. Applicants of accepted abstracts will be informed and invited to send their full papers (between 7,000 and 10,000 words) according to the schedule shown below. All submitted abstracts and full paper will be reviewed by an academic committee whose members will collectively decide which submissions will be accepted on the basis on the abovementioned “selection criteria” and the relevance to the purposes and objectives of the seminar as outlined in this background paper. A limited number of those participants whose papers are approved will be invited to participate in a seminar to be held in Doha. Cover of the costs of making the publication available via open access. Travel and accommodation costs during the three days of the seminar. Translation of the submitted paper into Arabic or English. After the seminar, the full proceedings of the seminar will undergo a double-blind review process. The papers which will successfully go through this process will be published as a special issue of the Journal of Islamic Ethics or an edited volume in the book series “Studies in Islamic Ethics”, both published by Brill. It is to be noted that submissions (abstracts, bios and full papers) can be written in either Arabic or English. The discussions during the seminar will be conducted in both languages. 30 December 2018: Deadline for receiving abstracts and bios. 10 January 2019: Authors whose abstracts are accepted will be notified and invited to write the full papers. 25 March 2019: Deadline for receiving the full papers. 10 April 2019: Authors whose papers are accepted will be notified. 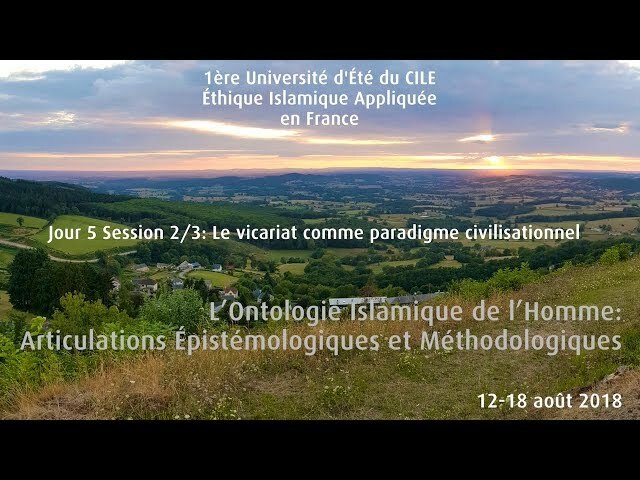 30 April - 2 May 2019: The seminar will be held at the Research Center for Islamic Legislation and Ethics (CILE) in Doha, Qatar. 30 June 2019: Deadline for submitting of a revised version of the post-seminar full paper, based on the remarks raised by the review committee and the deliberations during the seminar. Submissions should be sent to this email. For any inquiries about this call-for-papers or about the accompanying Background Paper, please contact Dr Muetaz Al-Khatib. For inquiries about the Journal of Islamic Ethics or the book series “Studies in Islamic Ethics, please send your inquiry. The Noble Prophet (p.b.u.h.) is The example of A true human being whose everyday page for infinity is found in The Holy Qur’an. The Holy Qur’an is for all times. There should be no compulsion in turning towards learning from The Noble Prophet (p.b.u.h.) and his way towards The Greatness of Allah (S.B.T. ), which is reading The Holy Qur’an in all contexts of time and place. Learning from this, The Hadiths and nature, and then implementing lessons learnt, with respect for The Creation Of Allah (S.B.T. ), draws one closer to The One, Allah (S.B.T. ), with ultimately True freedom. False play from false evil doers deny their own freedom by not turning towards The One only. They for example don’t allow for the private lives of true believers to happen, as they are involved in downplaying them. Giving forced “treatment” with Bad “medicine” to a true believer is a way of downplaying The true existence of a God conscious human being who is then “being” as such amongst false evil doers, where there could be more downplaying against him/her. It is therefore unethical to have to have Bad “medicine” and be forced to be with this in a false society. Will the travel allowance of international researchers Be bound. Dear Muhammed, the answer of your question can be found in the section "Benefits" of this call for papers. Thank you. It is highly appreciated work is this. The relevance of Hadith is increasing day by day. We have to highlight its relevance to the modern world. This seminar indeed will help this. Thank you Muhammed for your kind words! We do believe the same at CILE and we work very hard to address contemporary issues in the light of our tradition with Hadith in this seminar. We ask for Allah's blessing. Ameen. Dear sir I happy with you and intend to participate But do you also carry out our food expenses? Have you emailed those who submitted accepted abstracts yet? Dear sir, thanks for your interest. We recommend you to email directly Dr Muetaz Al-Khatib to know more about the status of your paper. Thank you.